"This magazine is made of metal and fully compatible with aftermarket airsoft guns taking M4 magazine. 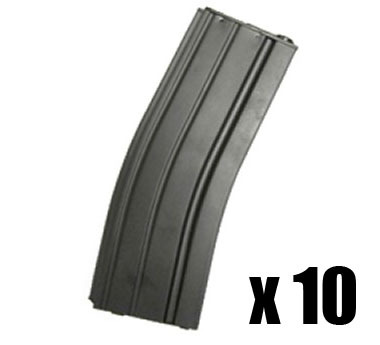 The capacity of this magazine is 150rds and the internal compoments of the magazine are imported from Japan. Mid Cap Design"
These are results from our in house testing, there is no 100% guarantee that the fitment will work for YOUR specific rifle.